I have a BSc in archaeological science at Bradford University which was followed by an MSc in Technology and Analysis of Archaeological Materials at UCL. I then did a PhD studying Anglo-Saxon and Viking iron knives and investigating the skills and methods of the blacksmith. My main focus has always been the study of ancient metals and metallurgy, although I have an interest in all archaeological and historical materials. What’s your role at Birmingham Museum & Art Gallery? I am one of a team of people who are researching the Anglo-Saxon Staffordshire Hoard. 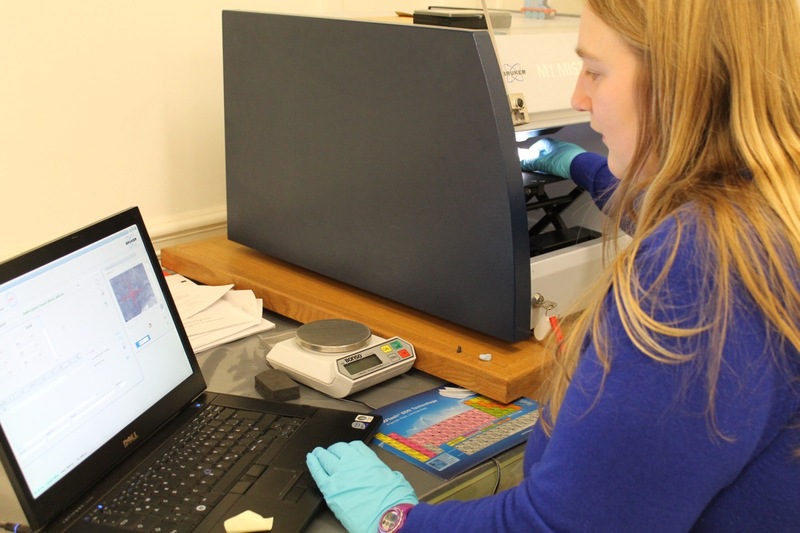 I use an X-Ray Fluorescence instrument to determine exactly what elements are in the gold and silver objects in the Hoard. I also get the opportunity to work with the staff and instruments at the University of Birmingham Metallurgy department to investigate the metals and surface treatments. While working on the gold from the Staffordshire Hoard recently I discovered a completely unknown treatment that the goldsmiths were applying to the objects. The goldsmith was treating the sheets behind the beaded wires to create a contrast. 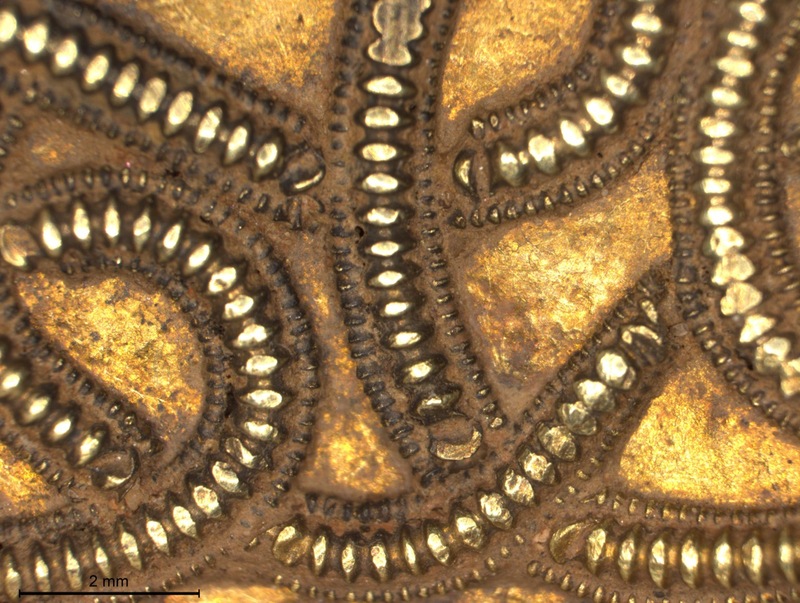 This was an exciting discovery which has implications for past research and is changing the way heritage scientists and archaeometallurgists view gold objects. It’s impossible to choose only one from the many people who have inspired me at different stages of my career. My BSc and PhD supervisor Gerry McDonnell was a big influence and led me towards the joy of archaeometallurgy. I’ve also been inspired by many of the Historical Metallurgy Society members past and present who have made interesting discoveries, and have supported me through the years. The thing I love most is that I get to see and work on a huge range of objects from all periods; some including the Staffordshire Hoard represent the pinnacle of craftsmanship. I also love how there are still lots of new discoveries to be made about how metal objects were constructed. Through heritage science researchers in the present can get closer to the people who lived in the past.